The easiest way to understand the space inside T-Loc Systainers is to think of the internal depth as 65mm plus multiples of 50mm. 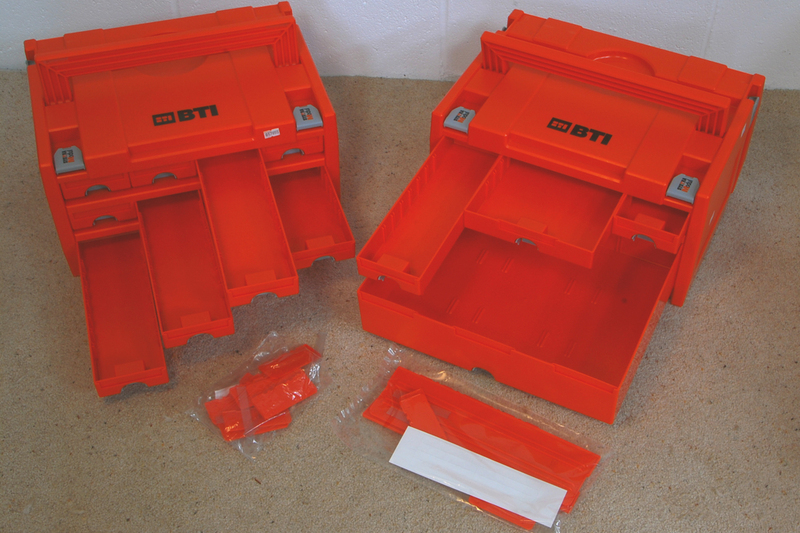 Conveniently, the vacuum moulded insert trays come in 65mm and 50mm depths. The 50mm stacking insert has a skirt on the underside that covers the compartments of the one below. So you can have any one of the ten 65mm inserts (B through K) on the bottom, and then the appropriate number of stacking inserts (A) to make up the depth of the systainer. 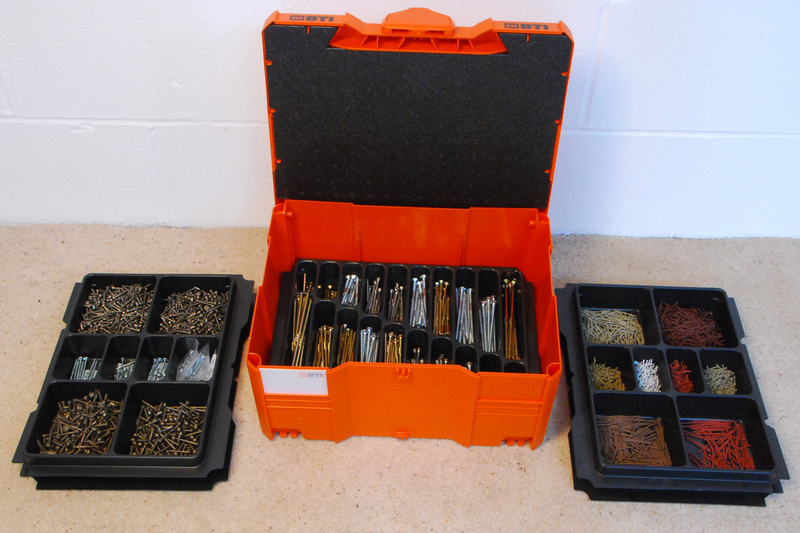 Systainer insert trays are ideal for storing small items like screws and nails. If you use these inserts as designed and in conjunction with one of the polystyrene covers that fits inside the lid you should be able to hold the closed systainer upside down and shake it without any of the contents getting mixed up. There are two types of systainer dividers, the first is a simple version which slots together using cellarette partition joints, these have the advantage that they can be disassembled and stored flat when not in use. The second type are permanently assembled but have a skirt so that when they are stacked within the systainer they effectively seal the compartments beneath. The dividers for systainers 2, 3 and 4 are 7.5mm shy of full depth, so that they can be stacked in a bigger systainer. For example, you can fit systainer 2 and 3 dividers (or two systainer 2 dividers and a stacking insert tray) into a systainer 4 and still close the lid. 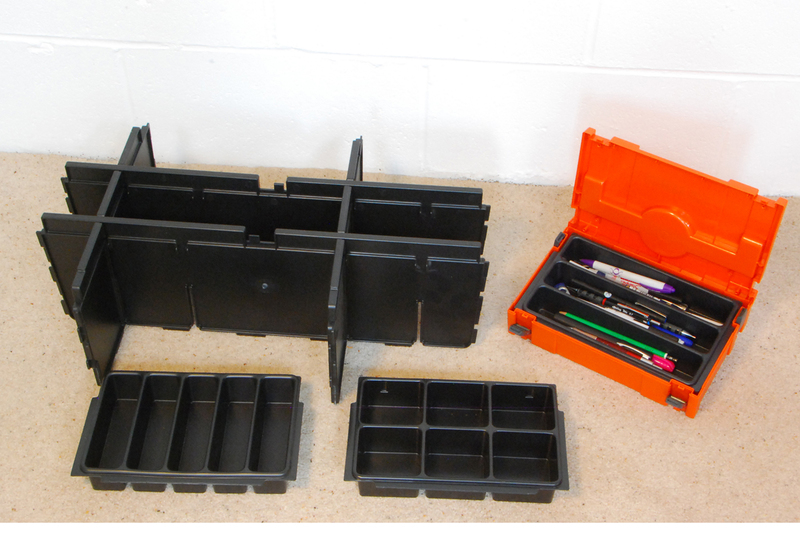 Systainer 5 has a thicker X reinforcement moulded into the base, so you can have any one divider and then top up with stacking insert trays (e.g. 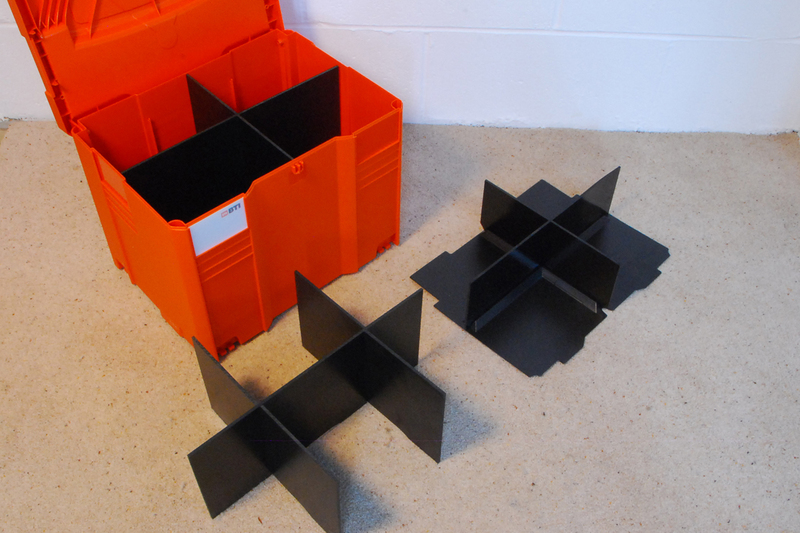 Systainer 4 divider + 2 stacking insert trays). Another versatile way to use the space inside systainers is to use foam pads and waffle pads. Each pad is 25mm thick, the foam pads are compressible, the waffle pads are not. Waffle pads (also known as ‘pick and pluck’ foam) are partially pre-cut into squares, so you can remove squares to form a void in the shape of an object you wish to store. If you want a more precise fit, the foam can also be cut using a hot wire or scalpel. 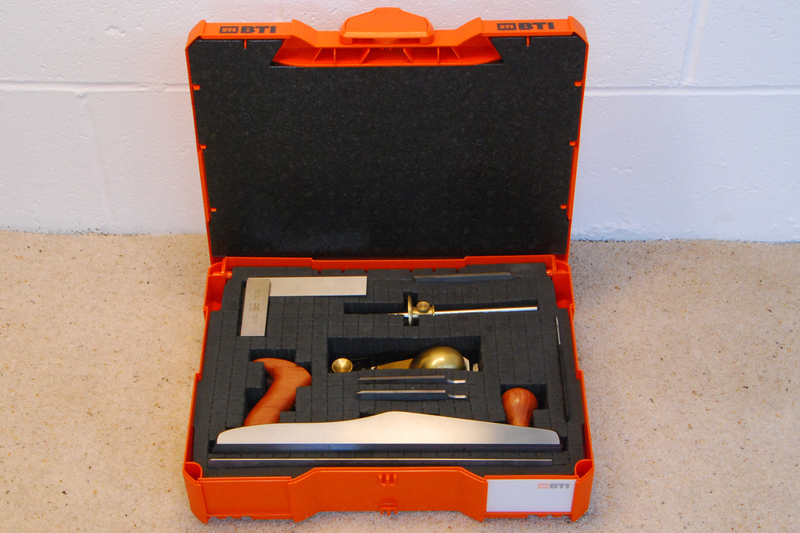 In this example I have used waffle pads to create a bespoke storage case for a jack plane, block plane, additional cutting irons and some marking and measuring tools. Waffle pads cushion the stored items from all sides, affording them maximum protection. 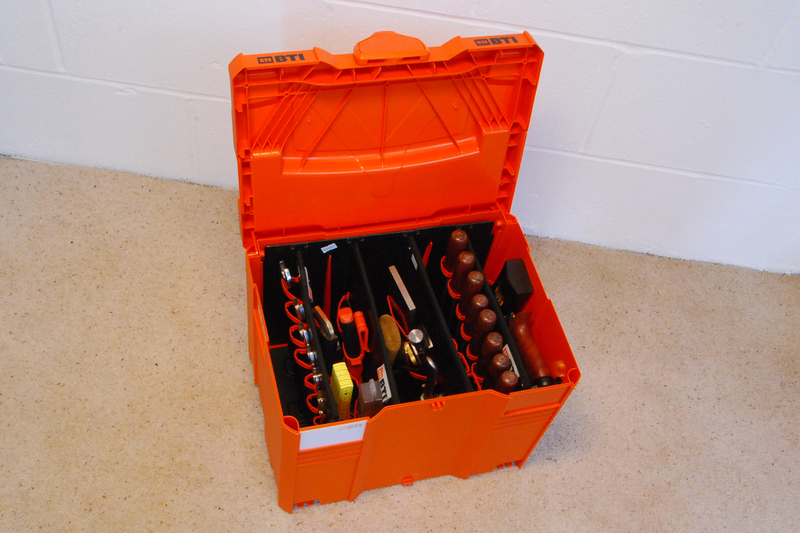 Systainer toolbags are double sided rigid boards with ballistic nylon pockets on both sides. They slot into the systainer toolbag guide, a two piece frame that drops into the base and rear side of a systainer 4. You can have any combination of four toolbags from a range of six configurations. If you are using them in a systainer 4 (as shown) the tools need to be no longer than the top of the board, if using a systainer 5 you have another 100mm which can be handy for files, rasps, longer chisels etc. The systainer filing frame drops into a systainer 4 and accepts standard A4 suspension files. Ideal for project management – I even use one of these in the office! The filing frame is compatible with both Classic Systainers and T-Loc Systainers, so it can also be used with the lockable Classic Systainer 4. N.B. Classic systainers can be combined with T-Loc’s in the same stack but the T-Loc’s have to go on top. 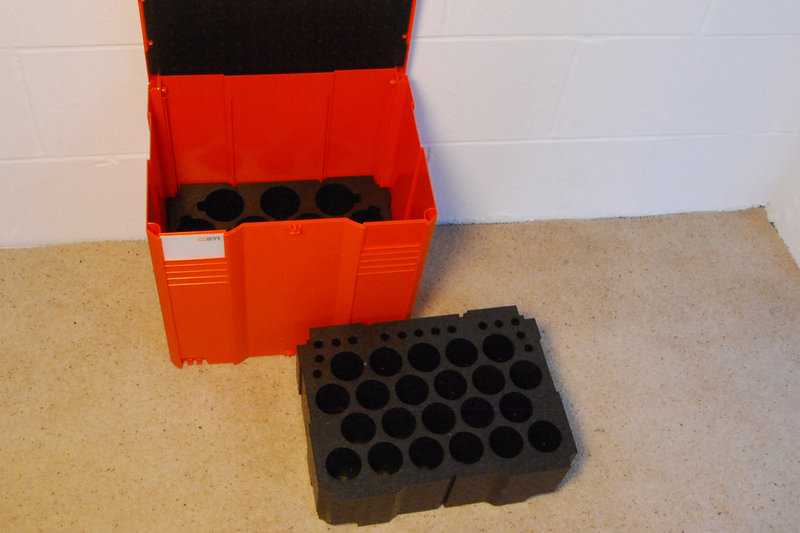 These expanded polystyrene blocks drop into the bottom of a systainer 4 or 5 to hold standard 70mm aerosols and 52mm cartridges (sealants, adhesives, etc.) with spaces for nozzles. There is an excellent multi-configuration divider available for the maxi systainer, this can be used to partition the space into equal or un-equally sized compartments. 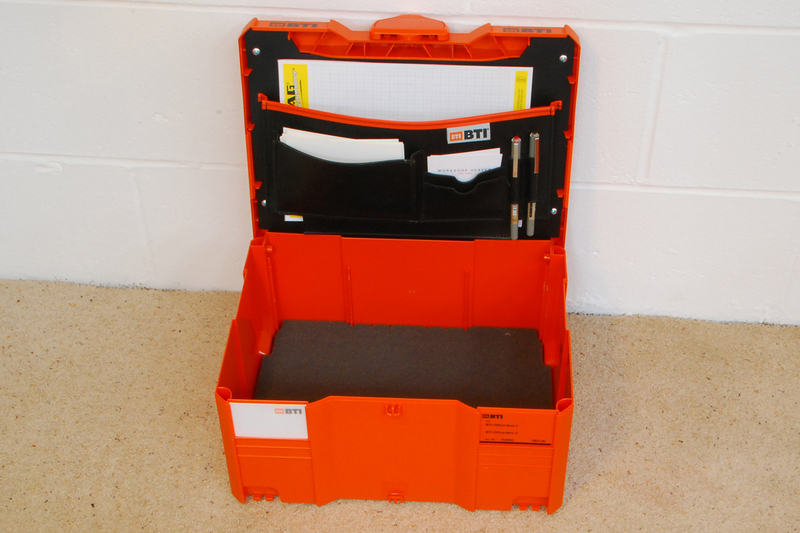 The maxi systainer dividers store flat when not in use and because the leaves connect to the interior of the box as well as each other, you can fit them individually if necessary. 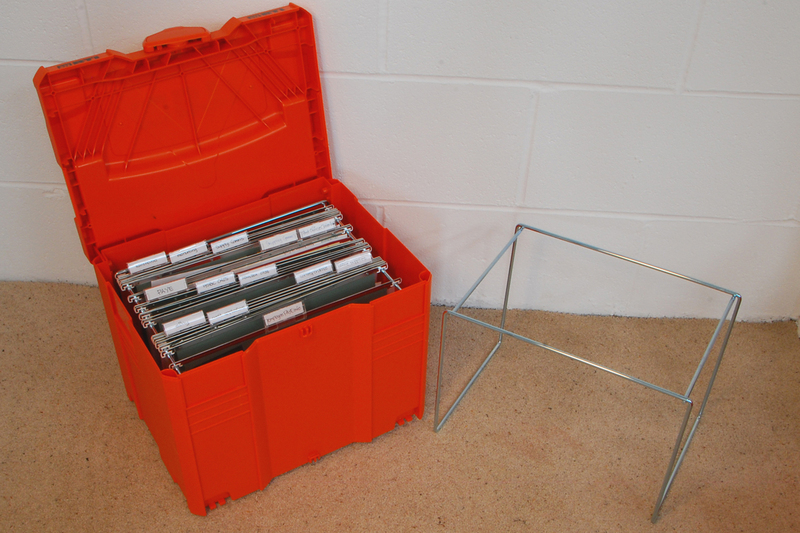 Three formats of insert tray are available for mini systainers, perfect for storing drawing equipment, small screws, sausage rolls, etc. No analysis of the interior of Systainers would be complete without mention of the tardis-like 4-drawer or 12-drawer Classic Sortainers. These come complete with subdividers that slot into the drawers so you can organise the space within to suit your specific needs, and labels to identify the contents. The large drawer of a 4 drawer sortainer is big enough to take a waffle pad with the sides trimmed to the length of the longer lines of squares, giving another option for customising the space inside. Without subdividers the large drawer is big enough to take a No.5 jack plane and a set of 12 bench chisels in a tool roll. All of the systems shown here are available from the Systainer Inserts section of workshopheaven.com. 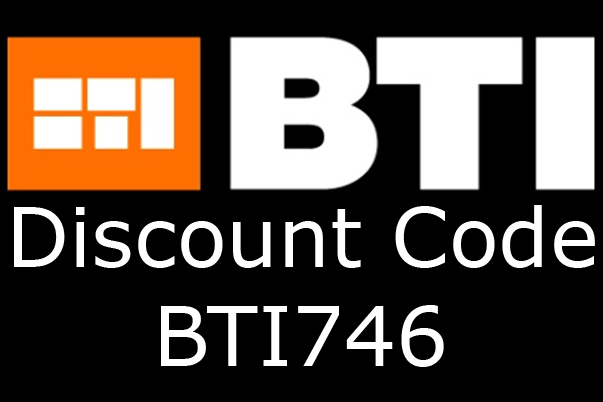 If you'd like to give systainers a go, or would like to expand your current setup, here is a handy 8% discount code valid on all BTI Systainer products at workshopheaven.com until 23:59hrs, 8th October 2012. We had some questions from a customer regarding the systainer inserts so I am posting them here too for the benefit of everyone else. I have a whole bunch of systainers that need improving and I am very much in awe of your dividers and inserts. Although you give a pretty comprehensive run down of insert tray combos I'd like to know a bit more about the dividers. Q1) Fit a sys 3 fixed divider with a 65mm tray on the bottom and a 50mm tray on top? A1) Yes, as long as you don't put a lid insert in too (i.e. you'd lose the ability to seal the compartments if it tips over). Q2) Fit 2 x sys 2 fixed dividers? A2) Yes, and you will still have space for one stacking insert tray. Alternatively you can have 1 x Sys 2 stacking divider and 1 x Sys 3 stacking divider which will take you to full depth. You could replace the bottom stacking divider with a collapsible one if you want six compartments. Q3) A sys 2 fixed divider and a combo of trays? If you use just one divider then top up with 50mm insert trays there will be 7.5mm spare at the top of the box - a thin floor pad (I must get some on our next shipment) will shim this up. If you replace one of the stacking insert trays with one of the 65mm ones you'll end up 7.5mm proud of full depth - which is fine if you are not using the lid insert, or if you do want the lid insert too then it's not a big job to plane a few mm off the top of the collapsible divider components. Q4) Also, in regards to the collapsible dividers what are the dimensions of the compartments? They don't seem to be split into thirds? A4) Correct, the indentations in the front and rear faces of the systainer fit between the two uprights, so you end up with two narrower compartments on each end and two wider ones in the middle. Q5) And if I were to put a set designed for a 3 or a 4 into a 4 or 5 box is there still the same clearance for stackable boxes on top? A5) For systainer 4 the answer is as for Q3. 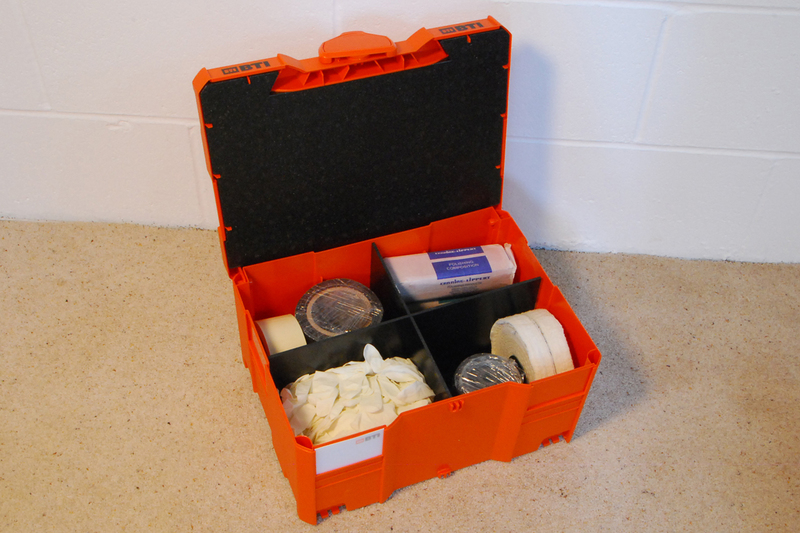 I've just realised (still learning) that systainer 5 has a 7.5mm deeper X reinforcement moulded into the floor of the box, so you can fit any one divider into it and then top up with 50mm insert trays and everything fits perfectly. I have updated the blog post to reflect this. Would you mind if I also posted your questions and the answers on the blog so that others can benefit from them?